The terrible bus accident in which one men’s baseball team’s charter was involved on March 4th during a trip to Florida highlights just how important regulations for charter buses are. According to the Florida State Highway Patrol, the bus driver failed to slow down as two lanes on the highway merged, rear-ending an SUV in front of it, which then slammed into the car in front. Sadly, the 81-year-old driver of the SUV died on the scene due to the severe injuries she incurred from the accident. Oftentimes, tragedies like these give rise very necessary new safety rules. 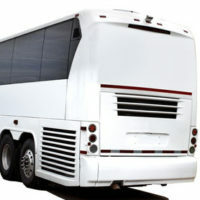 Although some of them have yet to be implemented, Congress’ recent highway-safety bill called for adding various safety features to new charter buses, including stronger roofs, anti-shatter windows, and three-point seat belts. While the seat belts have been required since November 2016, electronic stability control devices will be mandatory as of August 2018. However, given the moratorium on new government regulations, there may be hurdles involved with the new rules on anti-ejection windows and roof strength. Every day the regulations are delayed arguably puts charter bus passengers specifically at risk of injury or death, as bus crashes continue to keep happening. Just within the last decade, there have been close to 200 motorcoach crashes and fires, with 2,500 people injured and 250 people killed. Many would argue that, for these reasons, the moratorium shouldn’t apply to safety features necessary for charter buses. Recently, a resident who survived a deadly bus crash after a train crashed into a charter bus stuck on a railroad crossing filed a claim seeking more than one million dollars from the relevant defendants—Echo Tours & Charters and CSX Transportation. The accident left 35 out of the 49 passengers seriously injured, while four passengers were killed. The plaintiff not only suffered from physical injuries, but mental anguish sustained as the result of fearing her death as the train approached the charter bus. Charter bus accidents can often result in catastrophic injuries, such as traumatic brain injuries, spinal cord injuries, and even death. If you or a loved one has been hurt or killed as the result of a charter bus accident, let us help. Contact our experienced Fort Lauderdale bus accident attorneys at Friedland & Associates for a free consultation.